Church Day! This is a special day for us because we get to visit the International Evangelical Church (IEC). Most of us have been to this church before and all of us admit that we are able to see what the true Christian church should look like. You would not believe the number of nationalities and ethnic groups that are represented. A true taste of heaven! As I sit here in the terminal at Dullis International Airport, I have a strange grouping of emotions. I've already seen God's amazing provision even before we have left the country. Our flights were pleasant and on time, or team slept well and we're in good spirits. All 14 of our checking bags are accounted for and ready to go. No one is sick, no one is tired . . . God is amazing. By Rachael Burnett. I wish everyone could get to know Nega. 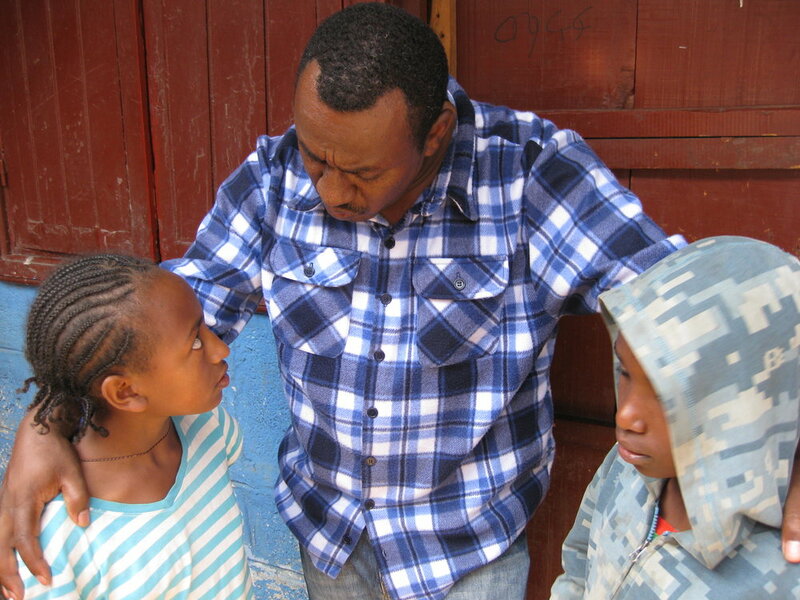 Nega is the director of TFC’s on the ground efforts in Ethiopia. Honestly, I’ve only “known” him for a short while— the only time I've been around him and seen him in action was for a short week this summer while on my first trip to Ethiopia. But, wow. This man never seems to get tired. He never seems to run out of energy, smiles, time, or hugs. Lately, I, myself, have been way short on all of those elements. I’ve felt drained, like I can’t keep up with the list of to-do’s and be-here’s spiraling to infinity. Maybe you have felt this busyness-to-the-max, too? 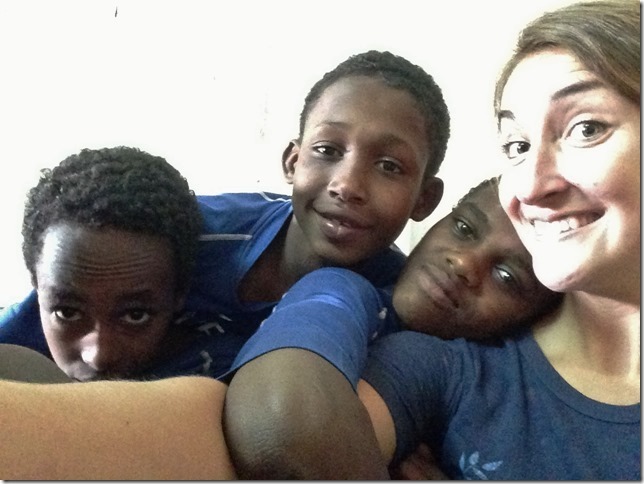 While we were in Ethiopia, each morning our team worked with street children at the drop-in center, and every afternoon we went to a nearby soccer field and played with the kids there. I remember feeling absolutely shocked one afternoon as I looked up to see Nega jogging out to join the match with the boys who were already whipping up and down the field. What in the world was he doing? Was he really running out enthusiastically to join the kids? With all of his other responsibilities, how does he have time to play? How does he have the energy? Obviously, Nega knows something I didn’t know—or at least didn’t grasp down deep in my heart. He knows the truth of Jesus’ statement in Luke 10:42, “But only one thing is needed.” Jesus spoke this gentle admonition to a woman named Martha—who I think may be my long-lost twin—after she was a bit perturbed at her sister Mary’s lack of assistance in the kitchen. You see, Jesus had come to visit Mary and Martha and their brother Lazarus. Martha was busy, “distracted with much serving” (vs. 40), flitting around the house making preparations for the meal, fluffing the sofa pillows, and swishing the last stubborn cobwebs from the corners. All the while Mary was sitting at Jesus’ feet simply listening to his teaching and enjoying Him (vs. 39). Exasperated over being the only one concerned about the chores, Martha approached Jesus and boldly asked Him, “Lord, do you not care that my sister has left me to serve alone? Tell her then to help me” (vs. 40). And Jesus responded ever so gently, but pointedly, “Martha, Martha, you are anxious and troubled about many things, but one thing is necessary. Mary has chosen the good portion, which will not be taken away from her” (vs. 41-42). I can just see Martha shrinking back in conviction—maybe a little stung by the reprimand, but humbled with the reminder of what-or rather who-really matters. Nega gets it. He recognizes that Jesus places a premium on relationship—both with Him and with others. Nega recognizes that, more than organized programs and neat facilities, the street kids need love. And kids (and big people, too) spell love T-I-M-E. I don’t know about you, but I don’t want to miss knowing Jesus. Maybe it’s time for us to take a lesson from Nega and from Mary. Maybe we need to re-evaluate our busyness, our “service,” our to-do’s and be-here’s. Rather than play soccer, I’m sure there were a thousand other things Nega could have chosen to do, a thousand other things that were seemingly demanding his attention right then. But, in my opinion, he, like Mary, chose the “good part”—the eternal part. So I’m learning the importance of filtering the ways I’m spending my time, even if under the banner of “serving” or “necessary busyness”, through the lens of those three eternal things. Let’s reject distractions and wake up to choosing the best—choosing to intimately know and love our Savior and other people, especially those on the fringes, both the ones right across the street and those all around the world. I’m not without purpose because I haven’t hit the ground of Ethiopia in more than two years, I have a call to send, to give, to pray, to advocate, and to invite others into the work the Lord is doing in and through this ministry. A privilege indeed! I am so thankful that my clear vision became blurred.